Tis' the season of giving! 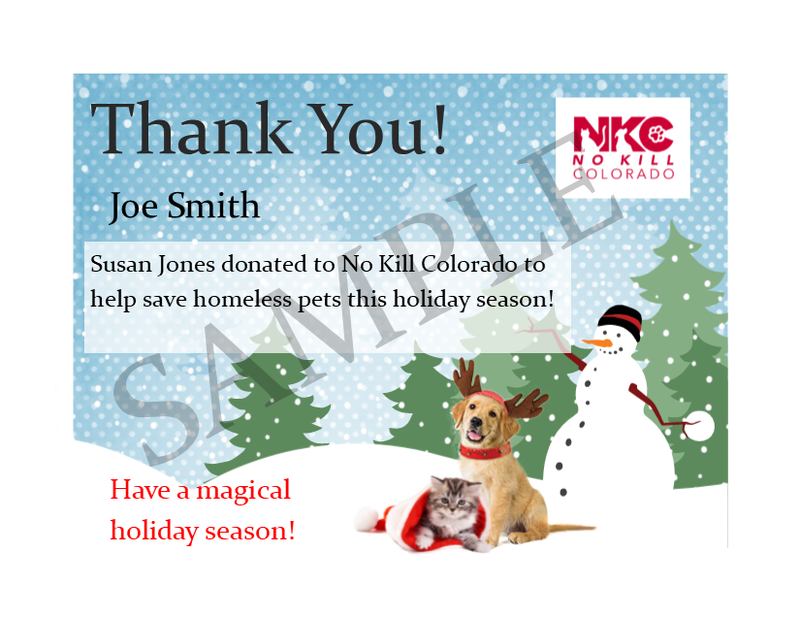 Here at No Kill Colorado, we think of it as the season of giving the gift of life. Helping homeless pets is what we do, and now you can help too. For Just $25 you can help a homeless pet. $25 provides a spay/neuter and vaccination for a cat. When you buy 2 you will be helping a dog. It could also help us with other medical costs or training for an animal in need. If you decide you don't want to get a gift certificate, consider volunteering and helping us Make Colorado the Safest State for Homeless Pets.